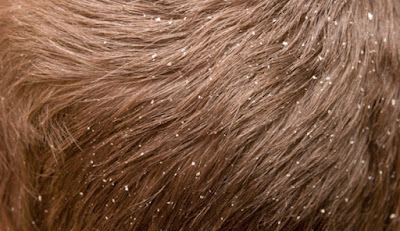 Dandruff problem mostly seen in women. When you wash your hair then dandruff will come out. If your scratch her then hair becomes white. There are several reasons of dandruff but it is one type of infection which stays for long time. You can easily get rid of dandruff if you include such type of food in your diet. That food should include zinc and vitamins which removes dandruff. Gram: Chickpeas means gram can cures dandruff. It has two important nutrients such as vitamin B6 and zinc which eliminate dandruff. You can apply paste of gram on your hair if you do not like to eat it. Take mixture of chickpeas, curd and water and apply it on your hair and wash after sometime. Ginger: Some people face dandruff problem due to stomach. But ginger can help you to cure dandruff problem. It has antibacterial and antifungal properties that help you to get rid from dandruff. Garlic: Garlic has high concentration Ellison acid which is natural antifungal ingredients. You can either include it in your diet or you can apply its paste on your hair. You can mix water in its paste if your skin is sensitive. Sunflower Seeds: It prevents the oil from head because it has zinc and vitamin B6. Its sees are useful for stomach and increase metabolism the body. It also prevents from the infection. Wheat Seeds: You can mix it in milkshake, bread or musli. It has high amount of zinc and vitamin B6. Apple: Apple is very useful to get rid of dandruff. You can use it in salad, dessert, juice or eat whole. You can grind it and apply on your face if you don’t like to eat it. Banana: It has vitamin B6, A, C, E and minerals such as zinc, potassium and iron. In addition, it contains amino acid and antioxidant which helps to eliminate dandruff. Make a paste of banana and avocado. Apply it on your hair for 20 minutes and wash it with water. Cautions: You should avoid fried food items and chocolate.